To order the 3 Day Refresh $69.95 click here. 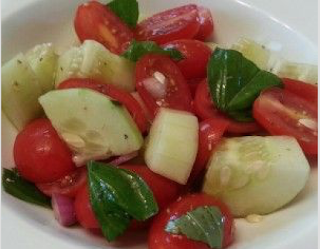 Combine cucumber, tomatoes, onion, seasoning in a large bowl. Add vinegar, lemon juice, oil and toss to coat.